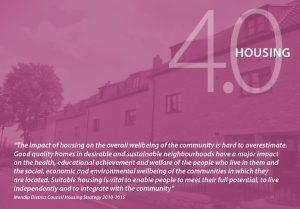 The Frome Neighbourhood Development Plan (NDP) has been ‘made’ by Mendip District Council and is now a part of the Council’s development plan which is in accordance with section 38A(4) of the Planning and Compulsory Purchase Act 2004. The Frome Neighbourhood plan establishes general planning policies for the development and use of land in Frome, and the policies and proposals contained within it will now be used by Mendip District Council in determining planning applications. 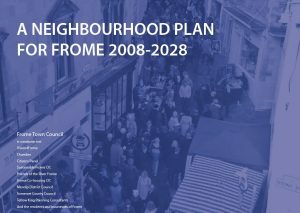 The Frome Neighbourhood Plan was prepared by Frome Town Council in consultation with residents and community organisations in the town. For information on the referendum click here. Encouraging small businesses to start and grow – Our aim is to ensure that the right premises, sites and other infrastructure is in place to support the start-up and growth of local businesses and employment. This will be achieved through policies that protect the existing valuable employment land in the town and enable additional employment land to come forward. 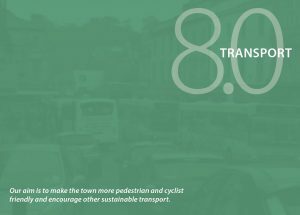 Making it easier for people to get around the town on foot and by bicycle – Some of the key objectives are to give priority in the Town Centre to pedestrians and cyclists and to open up the River Corridor for cross-town cycle and pedestrian access. 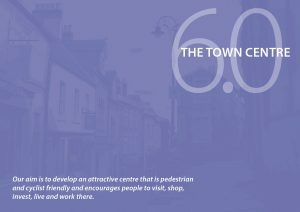 Regenerating the town centre – So that it functions better as a place to live, work, meet, shop and visit – our aim is to develop an attractive centre that is pedestrian and cyclist friendly and encourages people to visit, shop, invest, live and work there. 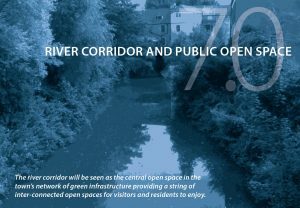 Making the most of the River Frome corridor as an environmental and recreational asset – Our aim is that the river corridor will be seen as the central open space in the town’s network of green infrastructure with a string of inter-connected open spaces for visitors and residents to enjoy. enhance the important arrival points within the town, including the railway station. 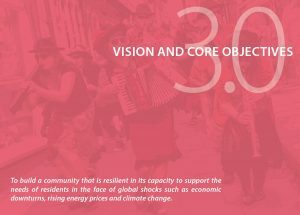 There are three overriding themes throughout the plan, Vitality, Participation and Sustainability all with the aim of achieving sustainable development. To provide clarity and policy guidance on future development, the Council is proposing to adopt an overarching sustainable development objective based on One Planet Living as defined by Bioregional and Worldwide Fund for Nature (WWF). To promote Frome as a Town that supports enterprise, innovation, and ideas. encourage greater local job creation and support creative industries such as art, media, technology, design, food, etc. To open up the River Corridor for cross-town cycle and pedestrian access. To identify a safe area for coaches to drop off and collect passengers.